We chose the name “officina” to reconnect to it’s old meaning of a place where people would go to learn a profession. Our project, rooted in the Open Source movement, is intended as a bridge between the physical and the intellectual domain of a “laboratory”. The physical dimension of personal activity gives way to the virtual room internet provides, a trademark of the present day, holding on to the “busying oneself up in the workshop” mindset set in a positive attitude towards aggregation, sharing, cooperation and professional growth such training ensures. 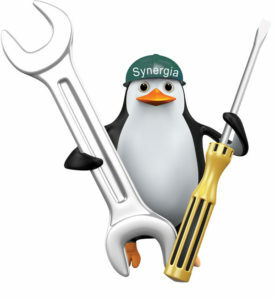 Within “Officina Linux” one finds readily tools that enable the development of new skills, the consolidation of already acquired ones, and a healthy exchange of quality information. Free webinars are devoted their specific area, allowing a hands on, practical introduction to the operting system and it’s services, enabling users full access to demo and trial sessions. The platforms is designed to encourage a quick interaction between users and the Officina Linux team and to serve as the preference tool to express suggestions and opinions. Officina Linux is a project in progress in the Open Source spirit, that we believe will thrive and grow thanks to everyone’s input, both professionals and amateurs. We also offer Linux courses and LPI Certification training, available also in English. Courses’ programs and fees are available on request.